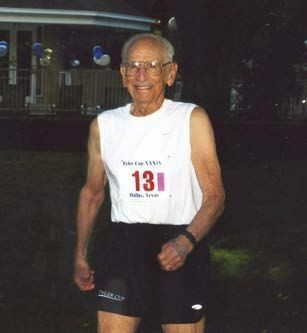 World War II veteran and age-group world record runner Orville Rogers (orvillerogers.com) celebrated his 100th birthday in typical centurion fashion: by running in a 100-mile relay around White Rock Lake in Dallas. Rogers, a bomber pilot during the Korean Conflict, ran the last mile of the relay in 22 minutes. Friends and extended family, who each ran between one and nine miles each, helped tick off the accumulative distance. New to running? 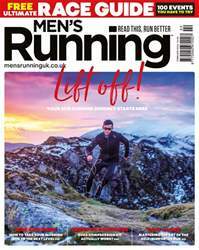 The February issue of Men’s Running is tailor-made for you. If, like many, your decision to dust the cobwebs off your trainers was driven by Christmas guilt, then signing up to a race, several months down the line, is an excellent way to keep that new-year motivation running high. And for that, our Ultimate Race Guide is a good place to start. Featuring 100 of the UK’s – and indeed the world’s – premier running events, you’re guaranteed to find a race that takes your fancy. And here’s hoping it will mark the start of a long and event-full running journey. It's not all about racing, of course, as proved by MR debutant Matt Buck, who embarked on a self-supported run along Portugal's stunning and appropriately named Historical Way. And of course there’s the usual blend of seasonal training advice, exclusive reviews, witty race reports and nutrition know-how – all of which, we hope, can help you make 2018 your best running year yet.